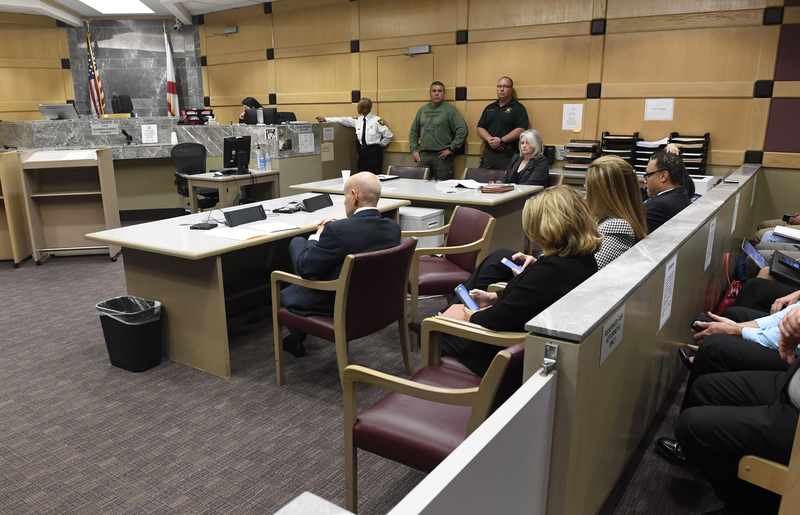 Anyone looking to Jack Tuter as a beacon of change for the ailing Broward judiciary had better look elsewhere. Putting it another way, it’s best not to forget he cut his chief judge chops as an administrator under Vic Tobin and Peter Weinstein. The never-ending, in a class by themselves embarrassments that have been a fixture of the 17th Circuit for as long as anyone cares to remember will inevitably continue to recur, if what’s known of today’s roughly twenty-minute judicial summit is any indication. Ms. Sandra Twiggs. There wasn’t even a moment of silence. A judicial rotation plan to conform with the Rules of Judicial Administration,* and to stem burn-out. 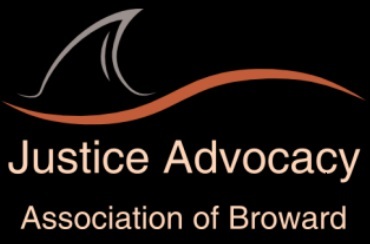 Professionalism panels for judges to cut down on JQC complaints, contested elections, and the far too common meltdowns and ethical lapses that distinguish the Broward judiciary in terms of scope and volume from judicial circuits across Florida and the nation. Recent incidents involving Bobby Diaz and Barbara McCarthy. Tuter’s perceived preference of using transfer to the Criminal Division as “punishment detail“. 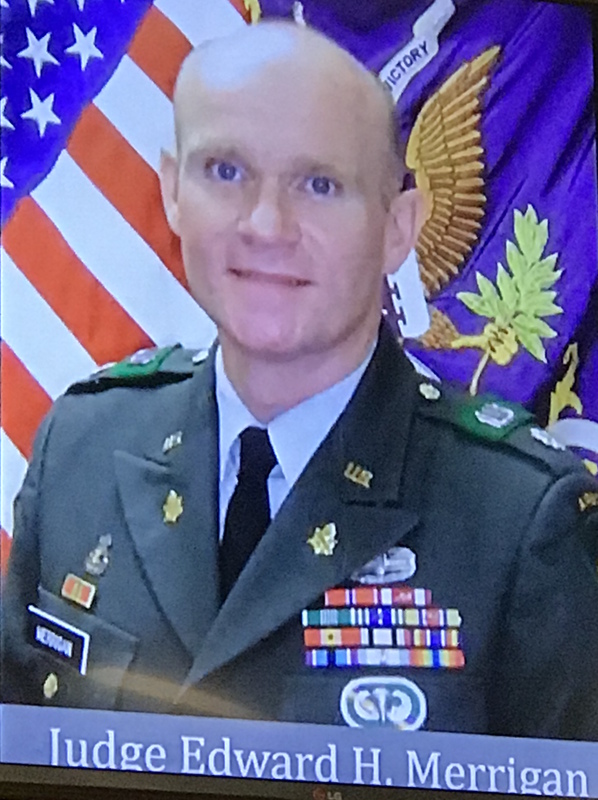 Tuter’s perceived role in sparking Ehrlich’s resignation and corresponding inexcusable and cruel meltdown at First Appearances by notifying her of his intention to transfer her to the Criminal Division. High fives all around for the great job the majority of hard-working judges are doing, and a message of approval from the Chief Justice to same. 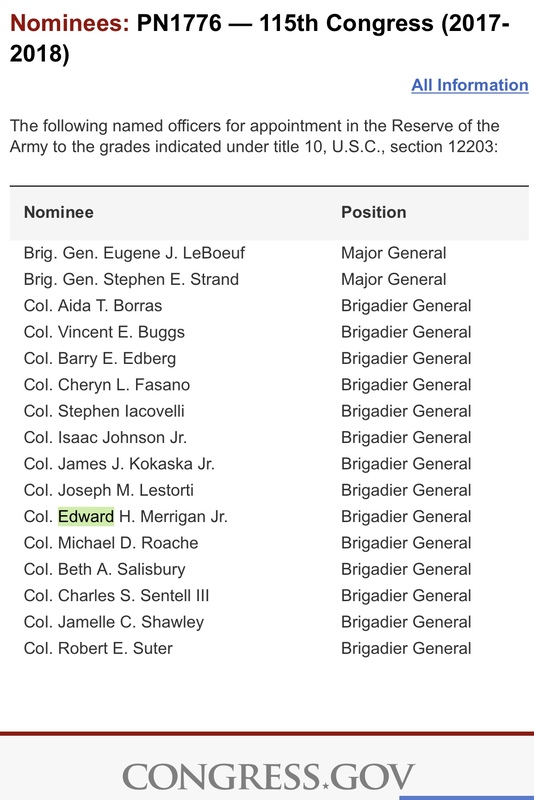 An implied warning for judicial “leakers” to a blog that only wants to make them look bad, and a confirmation that the Chief Justice cancelled his trip to avoid a circus after the announcement appeared on the blog. The overall strong condition of the circuit, despite a handful of blog malcontents. Unspecified plans to improve things in the future and avoid pitfalls provided by a few bad apples. A focus on the large number of new young, talented judges who will be taking the circuit forward. The great strides in reducing the jail population, and in electronic scheduling for both civil and criminal. Tuter’s close working relationship with Howard Finkelstein. Multiple sources agree this meeting was a morale booster, and not a forum to point fingers. 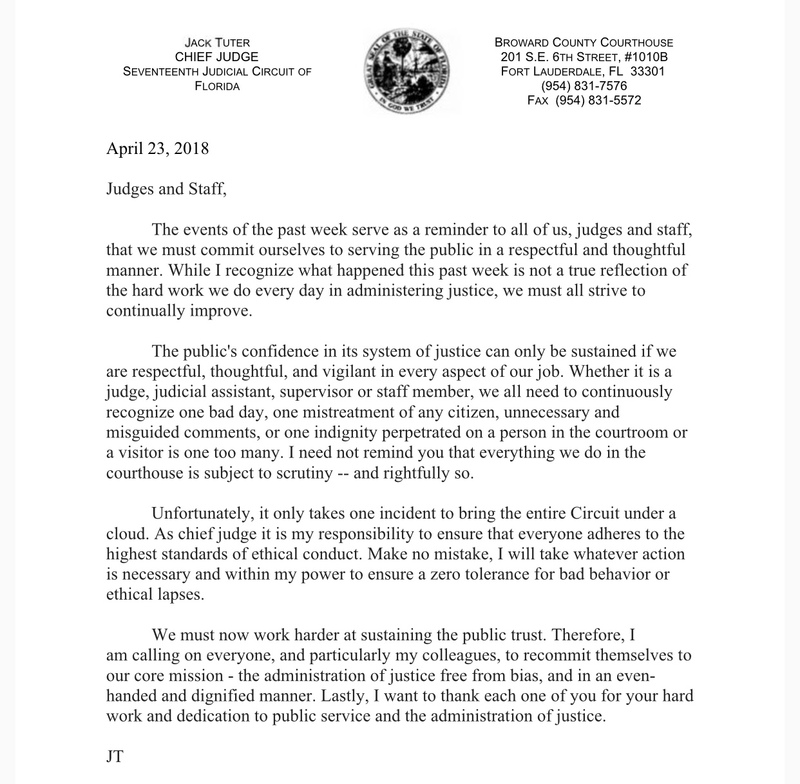 Whether or not Tuter was simply playing to his base and not showing his cards shall be seen, but for now it seems his strongest public admonition for greater judicial accountability remains the April 23rd letter that’s posted below. JAABLOG: Please advise what the agenda will entail and if public comment will be permitted. WATERS: The chief justice had only tentatively put this on his schedule. His travel itinerary is very tight right now and it still is not clear that he will be able to go … No agenda on our end. The chief justice has made a habit of visiting courthouses around the state as he travels. 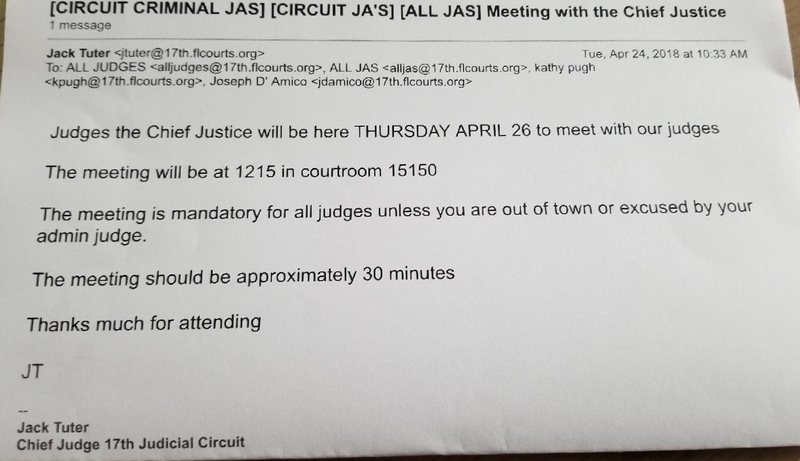 JAABLOG: Also, is the Chief Justice available to be interviewed pertaining to some of the ongoing problems with the 17th Circuit, and in particular, the need for mandatory judicial rotation to stem burn-out? WATERS: We are very aware of what is happening there. 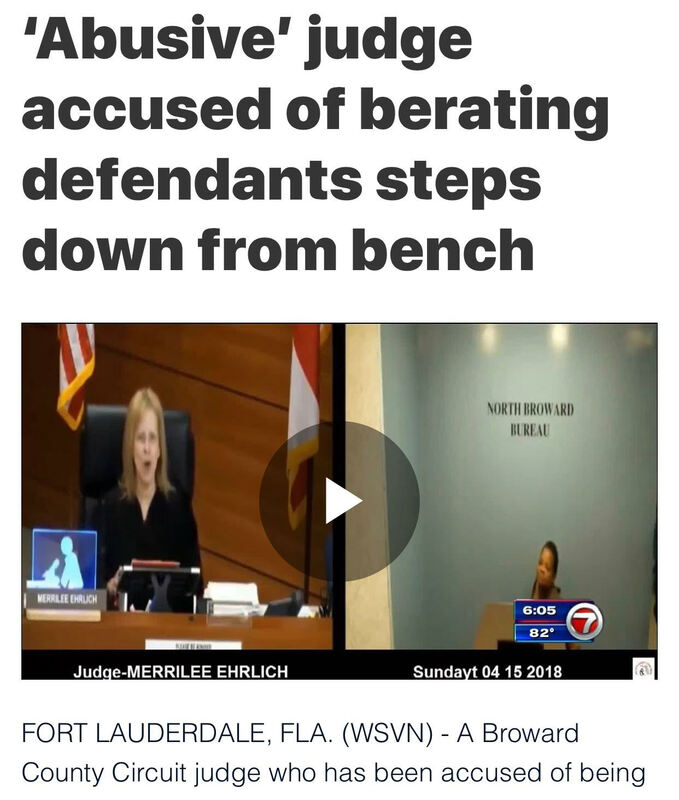 You can be assured that the Florida Supreme Court is looking into the matter in its administrative capacity, but its role is complicated by the fact that judicial ethics cases are legal matters that it must review in its judicial capacity, if a JQC case is brought against any judge in Broward. The transcript featuring the pumping issue before Barbara McCarthy is in. Read it here. The issue: should a lawyer have had to absent herself from an ongoing trial to pump, or should the judge have allowed a break in the proceedings? AGREE OR DISAGREE – YOU MAKE THE CALL! 2:36 pm – Television media is all over the Barbra McCarthy pumping story. Requests for comment by the judge were reportedly met by the JA with a message along the lines that the transcript would be available later today to help explain the full picture. 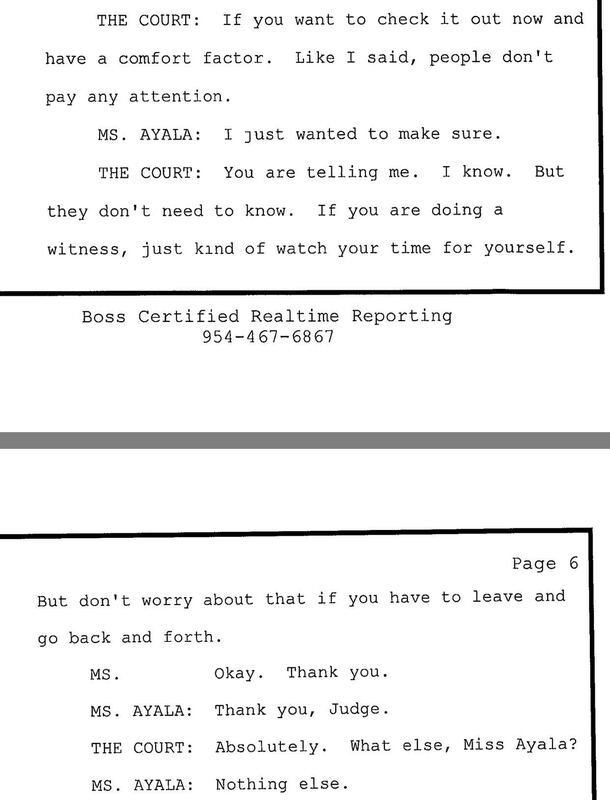 We had a very brief chance to review a few pages of the computerized transcript over the court reporter’s shoulder, and it seems to indicate a discussion during which it was clear that the lawyer in question would have to exit the courtroom to express her breast milk. A request to take a screen shot was denied. Whether or not the word “recess” was used wasn’t readily apparent, and McCarthy did offer some supportive words of understanding while seemingly making it clear that the trial shouldn’t stop. Again, it was a very quick review of the record, we don’t have a copy, and since it’s not audio as in other courtrooms, the tone of the conversation is not discernible. 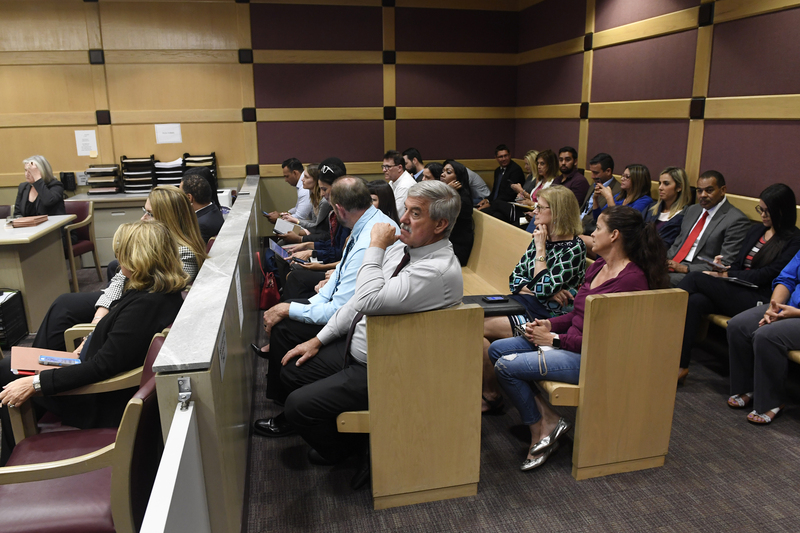 Ultimately we’re told the lawyer did leave the courtroom on two occasions to pump during different days of the trial, so at some point during the proceedings the Defendant would have been without the eyes and ears of one of his lawyers. As stated before, whether it’s an appeal issue would depend on the full circumstances and a full reading of the entire trial transcript. In one of the worst weeks for the 17th Circuit in years, details are emerging concerning a trial with Barbara McCarthy featuring a pair of female defense attorneys. One of the attorneys has a newborn, and requested time during the trial for a pump break. Apparently, the attorney was told there wouldn’t be any recesses for pumping, resulting in the Defendant having to endure periods of the proceedings when one of his lawyers had to absent herself. Depending on the full circumstances, it could be an appeal issue. Coming Soon – Does Jack Tuter look down on the Criminal Division? ; Court reporter mayhem!